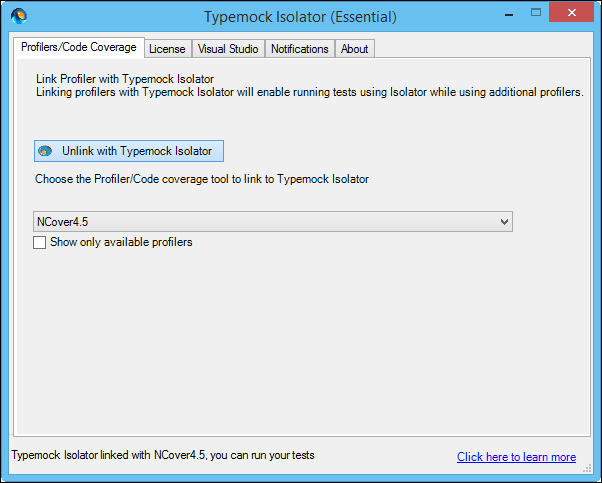 Starting with Isolator 7.4.3, NCover can be linked to TypeMock in Visual Studio, so that both profilers can work correctly. 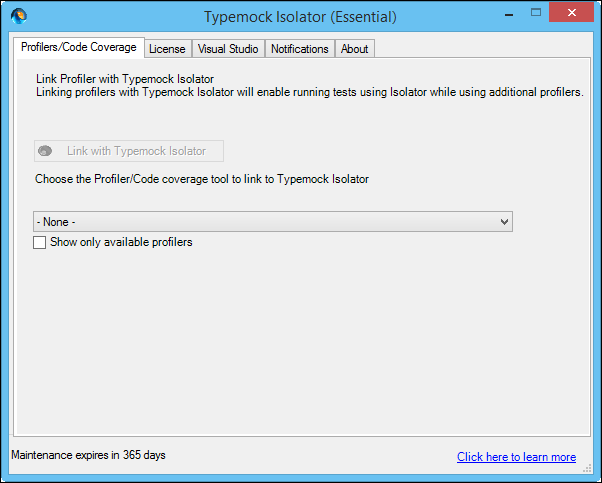 Install TypeMock Isolator (7.4.3 and up). On the Visual Studio main menu, go to the TypeMock menu. On the "Profilers/Code Coverage" tab, select "NCover 4.5" from the drop-down list of profilers. The "Link with TypeMock Isolator" button should now be enabled; click on it to complete the linking. TypeMock Isolator is now linked to NCover, and you can run your unit tests and collect code coverage as expected.